This compelling new account of Russian constructivism repositions the agitator Aleksei Gan as the movement’s chief protagonist and theorist. Primarily a political organizer during the revolution and early Soviet period, Gan brought to the constructivist project an intimate acquaintance with the nuts and bolts of “making revolution.” Writing slogans, organizing amateur performances, and producing mass-media objects define an alternative conception of “the work of art”—no longer an autonomous object but a labor process through which solidarities are built. 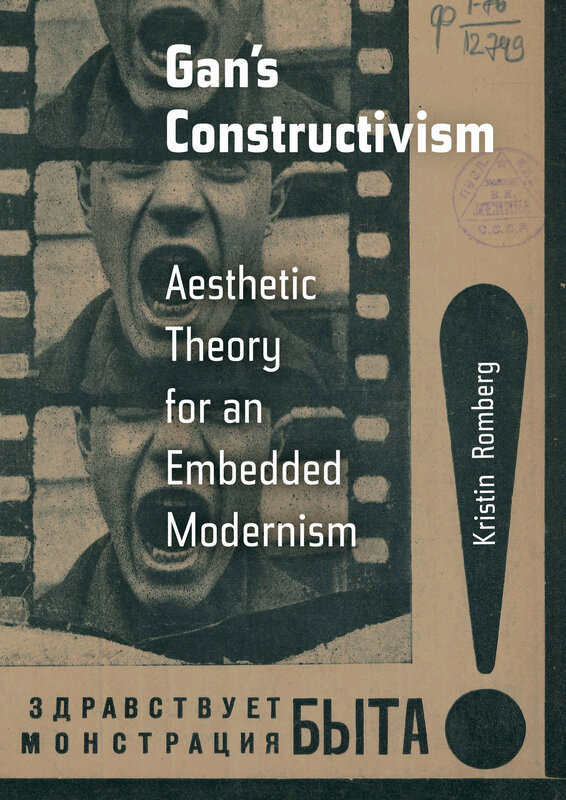 In an expansive analysis touching on aesthetic and architectural theory, the history of science and design, sociology, and feminist and political theory, Kristin Romberg invites us to consider a version of modernism organized around the radical flattening of hierarchies, a broad distribution of authorship, and the negotiation of constraints and dependencies. Moving beyond Cold War abstractions, Gan’s Constructivism offers a fine-grained understanding of what it means for an aesthetics to be political.